Spanish giant Barcelona is passing very good time in the ongoing season of La Liga and Champions League and yet to face any league defeat in the season. But they made couple of draw in La Liga. In their last two matches in La Liga against Valencia and Celta de Vigo, they made draw. So, yesterday their match in La Liga, they have been back to the winning streak. Barcelona beat Villarreal by 2 – 0 in the game. Yesterday, Real Madrid and Valencia reduced their point difference with Barcelona by winning their match. 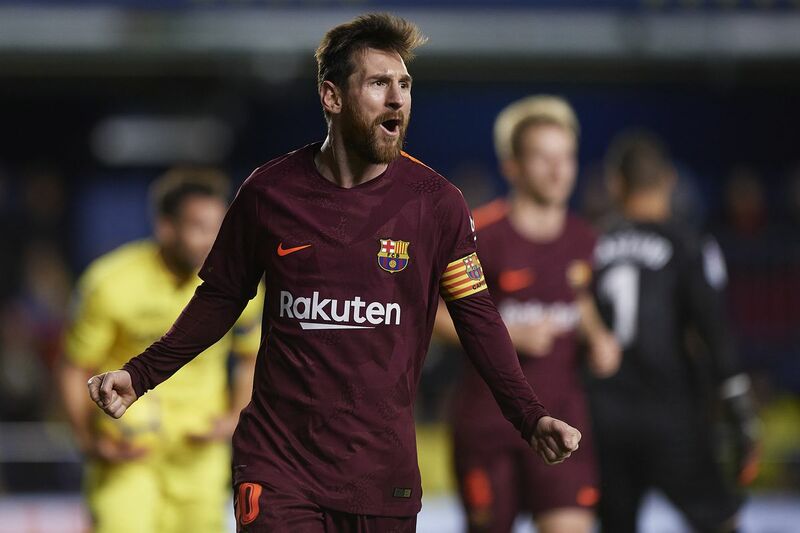 But a day after, through the goals of Messi and Suarez, Barcelona beat Villarreal and secured their position on the top of league point table. In Sunday night, at the second half Villarreal played with ten men and so, the team of Valverde beat them by 2 – 0 and still now remained unbeaten in the season of La Liga. In last two rounds, Barca made a draw with Valencia by 1 – 1 and Celta Vigo by 2 – 2. The match was hosted at the home venue of Villarreal named Estadio de la Ceramica. Barca was about to lead the match at the 4th minutes of the game. But the head of Pique was hit to the crossbar and the local team was saved by that. In 16th minutes Italian midfielder Soriano made a strong shot but Barca stopper Ter Stegen stopped the ball brilliantly. In 37th minutes a shot of Messi went too close to the goal post and another chance was missed. In 58th minutes, Messi took another shot and that was also missed. In 67th minutes Jordi Alba made a cross to the Luis Suarez but that was stopped by the post and so, team Barcelona went disappointed. In the meantime at 61st minutes, Dani Raba was given red card directly because he fouled to the Sergio Busquets. However, in 72nd minutes the waiting if Barcelona was ended. Through the help of Paco Alcacer, to escape from the goalkeeper Uruguayan striker Suarez made the first goal of the match. In 83rd minutes, Lionel Messi increased the goal difference and secured their victory. Through the pass of Sergio Busquets, Leo went to the box and with very clean mind he made his target. With this goal, this Argentine skipper scored total fourteen goals in the season of La Liga which is highest. On the other hand, Suarez scored just seven goals.